Antique furniture can be very expensive to acquire or might hold a special place in your heart. Moving normal pieces of furniture can be difficult but with antique furniture this process to amplified. Repairing antiques is expensive or it might even be impossible. The best way to go about moving antiques is to prevent them from getting damaged in the first place. The following are some tips to help you move antique furniture and can be applied to moving furniture or appliances in general. 1. 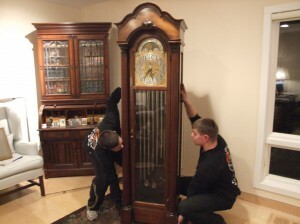 When moving antique furniture, secure all moving parts such as doors and drawers. Attach keys to cabinets and shelves inside the furniture to avoid losing them. 2. Sometimes moving antique furniture is tedious because of the pieces can be heavy. If an antique piece of furniture is heavy but has drawers and other removable parts, remove them prior to moving. Some furniture can become 50% lighter when you remove drawers. If legs or other fragile elements can be removed dissemble the furniture. 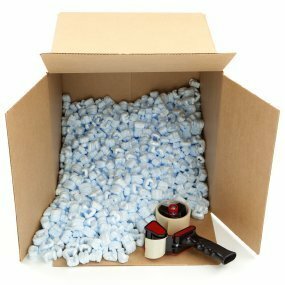 This will prevent your furniture company from dropping or dragging the furniture when moving it. 3. Carefully choose the delivery or moving company. Before you hire any company, you should make sure that the moving company is well-equipped and experienced to handle antiques. Be careful when looking for cost savings because any damage to antique furniture will quickly cancel any costs you might save. 5. Make sure the courier’s insurance covers the full value of your antiques to avoid not being covered for transport damage. 6. Before moving antique furniture, photograph it in good condition to have evidence that it was okay prior to moving. 8. Always have enough people to do the heavy lifting when moving antique furniture. If need be use sliders under the furniture to avoid damaging the bottom of the furniture or if you have wooden floors. Sliders could be cardboard or old blankets. 9. Make sure that there are people in the house when the antique furniture is collected. Their help might be needed to carry the product or to explain to the moving company which furniture is fragile. 10. Be grateful for people who help you to deliver antique furniture safely and tip them for competent and hard work. Of course you cannot just get up and move away without informing some people. You should let the following people know that you are moving home, maybe using a stock email with your new address and contact details. Magazines you have subscribed to, charities, etc. 5. For extra security, consider having the locks in your new home changed. 6. When you have finally completed moving home, you will most probably be exhausted. Collapse on the sofa, order some food and pop open a bottle of champagne. You don’t have to do all the work when moving home. You can hire a moving specialist who can handle everything including transferring utilities, making change of address cards, hiring a removal firm, and much more. 3. Maintain your routines: Keep your lifestyle and routines roughly the same in your new home or office space. 5. make the most of your new home or space. After moving home or office explore the area, attend events and activities in the area and focus on enjoying your new space. 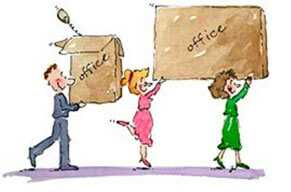 Life is constantly evolving and the change associated with relocation is something that needs to be accepted. If you can embrace the move and view it as an opportunity for new experiences, you will tend to reap the benefits more than those who resist it. When it comes time to move from one home to another, things can easily get out of hand. From the packing process to the physical labor involved with transporting your life to another locale, things can turn hectic fast. It’s for that reason that you may want to look into getting a moving company to help you with the heavy lifting. When you’re looking at the variety of options that are available today, you will want to look for several things in a company, and not just hire anyone to help. The first thing to look for in a moving company is their location. 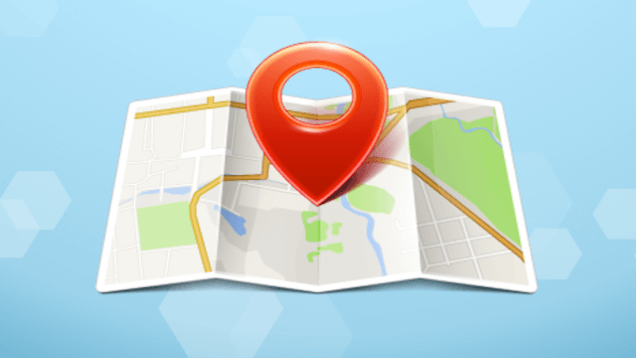 Calling local companies will benefit you because of distance that they are from you. A closer company means faster service, as they will not have to come a great distance to get to you. This is of course something to look into if you’re not moving out of the province or too far. For those that are moving a long distance, or relatively far, make sure to ask about the pricing of your move. You’ll denote that companies charge based on weight, length of truck needed, mileage, and labor. You will need to cycle through several estimates, to ensure you’re getting the best rate from the most competent movers. The last thing to look into is licensing and insurance. 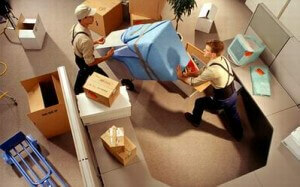 Always hire movers that are licensed and insured to help you. In case anything goes awry, even if it’s small, you need to be covered from loss and damage. Millions of people today will need help with their upcoming move. While there are ways to do it on your own, it’s never advisable to do it all, as there are a variety of things that could cause headaches. From the packing, to the heavy lifting, the total costs associated with doing it alone could rise exponentially compared to simply learning how to find a professional, yet professional movers or moving company. If you’re not sure how to do this, or have misinformation, you may want to look at a few tips. Do not miss out on the yellow pages. While many companies have taken their listings to the online world, you will find that many companies still rely on these pages. Check them out and look for buzzwords like free estimates, insured, bonded, licensed, and more. The companies that have been around quite a bit will be in there. Look online for reviews, and make sure that you look for specific information on any company you plan on calling. Look for cost break downs, friendliness of the movers, and whether or not they would be recommended. When seeking the right company to work with, reviews become very valuable at finding out information about their service. Most importantly you need to look for a moving company that meets your needs, someone who is happy to help you get a free quote, give pre-move consulting as well as services such as packing and transit insurance. 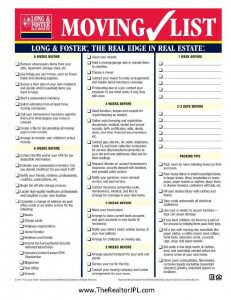 One option to consider is to ask for references when calling movers or a moving company. You’ll be surprised how forthcoming companies may be with this. Good companies will be glad to give you references, so that you can hear firsthand a testimonial from a satisfied customer.